Actor Richard Gere is best known for his roles in films such as Chicago, Pretty Woman, and An Officer and a Gentleman. Gere is also a committed humanitarian. In 1991 he founded the Gere Foundation. The Gere Foundation awards grants to groups that are dedicated to the cultural preservation of Tibet and the Tibetan people; dedicated to providing HIV/AIDS care, research and treatment and to those organizations addressing human rights violations throughout the world. Richard Gere is also an accomplished photographer. In 1997 Richard Gere published Pilgrim. 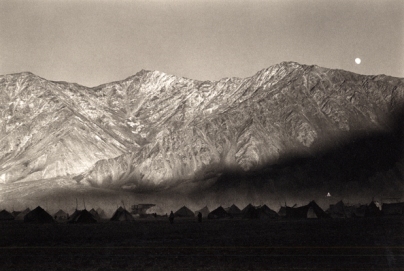 Pilgrim is a book of photographs of Tibet, its people, its community in exile and of the surrounding Himalayan region. The book opens with a forward by the Dalai Lama and an introduction by Richard Gere. Proceeds from the sale of the book went to Gere Foundation projects. Gere tells Elizabeth Avedon that his first camera was a Brownie as a child. He has been taking photographs for many years, although he says he got serious about his photography when he started working on his book. In recognition of his contribution to the art of film as well as his global humanitarian leadership, in February 2012 Richard Gere received the George Eastman Award from the George Eastman House International Museum of Photography and Film. A video from the award ceremony is posted below. See Pilgrim by Richard Gere at Amazon.com. This was written by Lorrie. Posted on Sunday, April 29, 2012, at 4:39 pm. Bookmark the permalink.